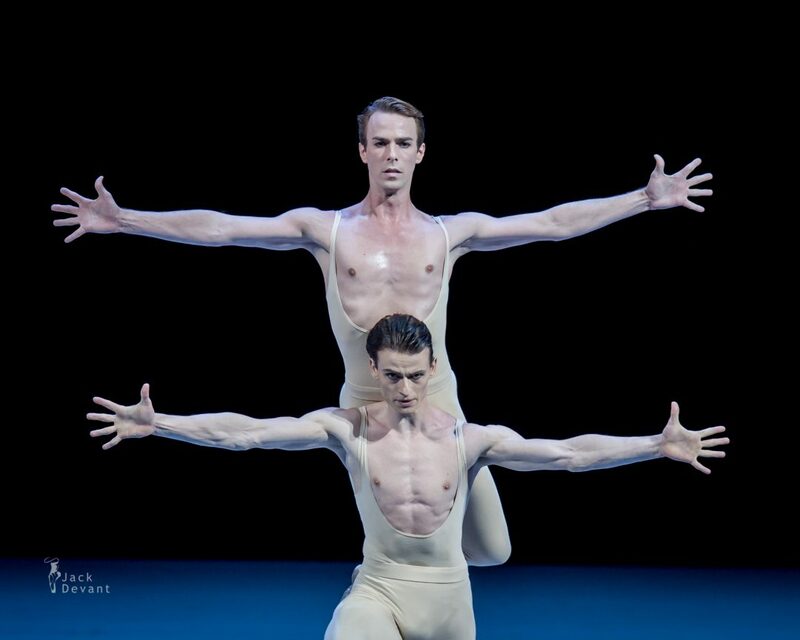 Marian Walter and Rainer Krenstetter in Proust , ou Les intermittences du coeur, music by Gabriel Fauré, choreography by Roland Petit. Benois de la Danse 2015 laureates Gala concert. Shot on 26th of May 2015 in The Bolshoi Theatre, Moscow. 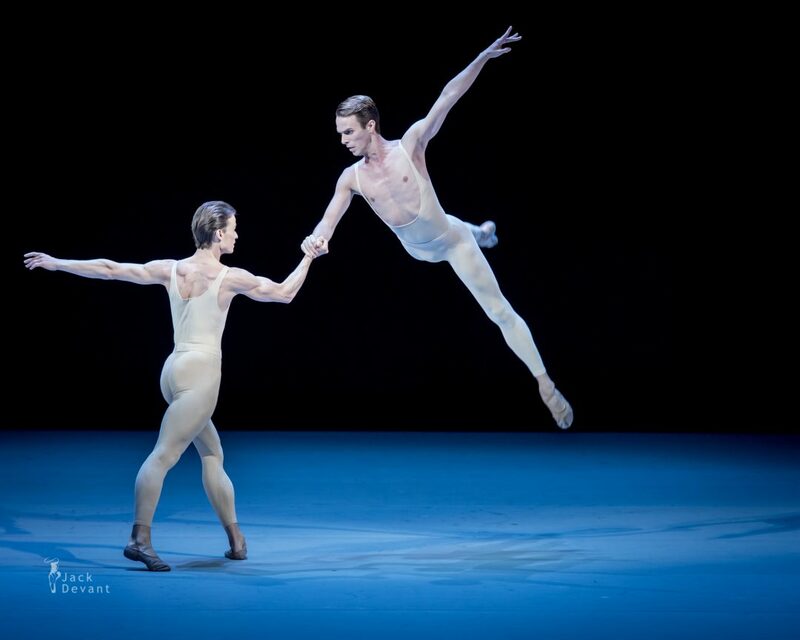 Rainer Krenstetter is first soloist at Berlin State Ballet. He was born 1982 in Vienna, Austria. Rainer studied 1992 until 1999 in Ballet School der Wiener Staatsoper and after that, 1999 until 2000 in Royal Ballet School London. He became member of Corps de ballet with Ballett der Wiener Staatsoper at 2000; Corps de ballet with Ballett der Staatsoper Unter den Linden Berlin 2002, Demi-Soloist with Ballett der Staatsoper Unter den Linden Berlin 2003, oloist with Staatsballett Berlin at 2004 and Principal since 2013. Marian Walter is First Soloist with Berlin State Ballet. He graduated on 2000 from Staatliche Ballettschule Berlin. Marian was employed 2000-2002 by Bayerisches Staatsballett München; 2002 Ballett der Staatsoper Unter den Linden; 2004 Demi-Solotänzer with Staatsballett Berlin; 2005-2010 Soloist, from 2010 First Soloist. Roland Petit (1924 – 2011) was a French ballet company director, choreographer and dancer. He trained at the Paris Opéra Ballet school, and became well known for his creative ballets. Petit was born near Paris. He trained at the Paris Opéra Ballet school under Gustave Ricaux and Serge Lifar and began to dance with the corps de ballet in 1940. He founded the Ballets des Champs-Élysées in 1945 and the Ballets de Paris in 1948, at Théâtre Marigny, with Zizi Jeanmaire as star dancer. Petit collaborated with Henri Dutilleux (Le Loup – 1953), Serge Gainsbourg, Yves Saint-Laurent and César Baldaccini and participated in several French and American films. He returned to the Paris Opéra in 1965 to mount a production of Notre Dame de Paris (with music by Maurice Jarre). In 1968, his ballet Turangalîla provoked a small revolution within the Paris Opéra. Four years later, in 1972, he founded the Ballet National de Marseille with the piece “Pink Floyd Ballet”. He directed the Ballet National de Marseille for the next 26 years. The creator of more than 50 ballets across all genres, he choreographed for a plethora of famed international dancers. He refused the free technical effects; he did not stop reinventing his style, language, and became a master in the arts of pas de deux and of narrative ballet, but he succeeded also in abstract ballets. Proust, ou Les intermittences du coeur was choreographed by Roland Petit in 1974.